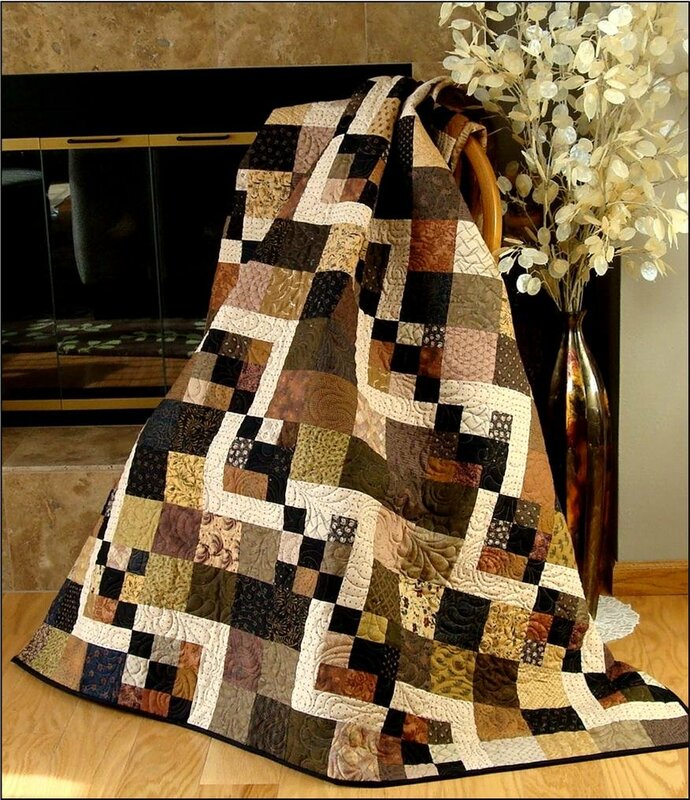 This quilt is fun, easy and fast to make — step by step colored instructions and diagrams. Pressing directions will make your seams interlock perfectly throughout the quilt. This pattern is excellent for beginners to advanced. The block size is 12" x 12" finished. Instructions for cutting the backing and binding are also included in the pattern.